​Bournemouth manager Eddie Howe has said he would not sell Callum Wilson for any price this month if it was his decision, amid reported interest from Chelsea in the striker's signature. The Blues are reported to be considering a £50m January move for the forward, who has fired in nine Premier League goals so far and been a central part of the Cherries' impressive start to the season as they sit 12th in the table. 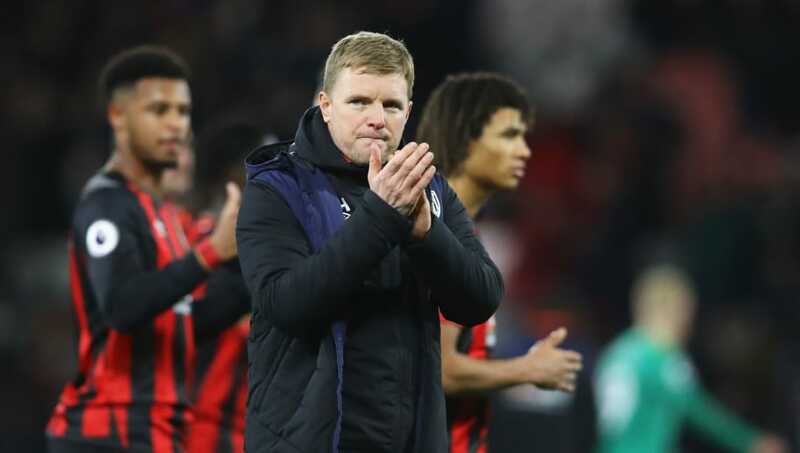 Speaking ahead of ​Bournemouth's visit to ​Everton on Sunday, Howe spoke about the 26-year-old's importance to his side, saying it's vital that they hold onto him if they are to move forward. "I've been told about the speculation, it's not something I seek to read," he said, as quoted by ​Sky Sports. "It's a waste of time for me to do so. It's business as normal, Callum has been bright and bubbly this week so no problems there. "In my opinion, and it's just my opinion, I wouldn't sell at any price, but I'm the manager of the team trying to create the best team that I can. While Wilson remains central to Bournemouth's hopes this season, the arrival of Dominic Solanke for £19m from ​Liverpool last week will provide him with some competition for places as we enter the business end of the season.